The second edition of the International CopyCamp conference took place on 1st of October, 2013 in the Muranów cinema in Warsaw. This year, the conference was devoted to search of practical solutions for the creative sector, analysis of the copyright law from the anthropological, sociological and economic perspective and communication within the current discussion on copyright, but also to the Polish law in the context of the international legislation. Please read about the conference on the Prawo Kultury website. CopyCamp 2013 was co-organized by the Coalition for Open Education. The partners of the second edition of the event include: the Association of Authors ZAiKS, Trust for Civil Society in Central and Eastern Europe, Google, Copyright for Creativity and National Audiovisual Institute. Podcasts from CopyCamp 2013 are prepared by Wikiradio. Living as though Culture Were Free: the Solidarity of Knowledge and the Struggle for Liberation. Cédric Manara: Copyright and Innovation. Krzysztof Lewandowski: Is the “open source software” model is an appropriate tool to ake artistic creation available to the public? Jarosław Czuba: Public access – analysis. Jarosław Lipszyc: The Great Copyright Swindle. Paweł Zalewski: Directions of changes in the European Union copyright law. Jeremie Zimmermann: Winning the war on sharing, a strategical update. Anna Biernacka: Fair Use – the (non)Polish case. Teodora Konach: Protection of authors’ moral rights in the context of the European Copyright Code. Natalia Mileszyk: Copyright vs freedom of speech. Bianca Hanuz: Enforcement and enforcement alternatives of intellectual property rights in the digital age. Konrad Gliściński: Utter Chaos. Why copyright is not the same as property rights and what this means. Andres Guadamuz: The Centrality Menace. 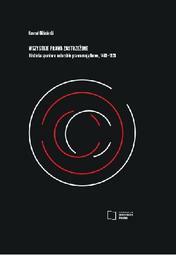 Magdalena Jóźwiak: Privacy and copyrights – changing understanding of rights on the internet. Michał 'rysiek’ Woźniak: Internet is not the problem. Arkadiusz Michalak: Intellectual property rights and competition: case of an unjustified lawsuits. Katarzyna Dąbrowska: In Quest of the Author and Their Rights in the Context of Changing Consumer Society. Joanna Matczuk: The author in the globalization era. Wojciech Orliński: Tracing Cthulhu, i.e. what is the „lesser evil” today. Edwin Bendyk: Value, creation, property. Marysia Lewandowska: Share what you know. Andrzej Wojtaś: Do authors need copyright? Ana Brzezińska: New media vs the accessibility issue. Does copyright impede the revolution? Piotr Siuda: Copyright in the eyes of Polish pop culture industries. Paula Bialska (Paula & Karol): Music Fan Labour: How fans became concert promoters, bookers, and managers and how this is shifting the live music industry. Łukasz Łyczkowski: The mysterious „C” in a circle – do you really know what copyright is? Anna Skurczyńska: META-WHAT? The trouble with metadata in the images industry. Rafał Wójcik: „Żywot Pana Jezu Krysta” by Baltazar Opec, i.e. a Medieval Copyright. Sebastian Kawczyński: From inspiration to plagiarism. How the „copy-paste” culture destroys creativity. Anna Gruhn: Tale about the platypus – the publishers for against DRM. Ben Zevenbergen: A complex empirical evidence base for rational copyright reform. Michał Krawczyk: Why do we judge piracy differently from theft? Preliminary results of a philosophical experiment. Alek Tarkowski/Michał Danielewicz: Copyright in the collective imaginary. Presentation of the research on the awareness and attitudes towards copyright. Arkadiusz Kustra: Using the Internet content by Polish users in the context of the World Internet Project research. Kamil Śliwowski: Fair use in education vs open educational resources. Will education end up in silos of copyrights? Krzysztof Siewicz: Open Access. Does science need copyright law? Robert Stalmach/Tomasz Ejtminowicz: Media monitoring vs coprytight protection in the Internet. Przemysław Ruchlicki: Respecting/observing copyrights by SMEs. Threats resulting from infringements. Dorota Kutyła: The World Organized by Women. About Women and Their Inventions. Artur Piechocki: Use of copyrighted works in digitalized forms. Bodó, Balázs – economist, piracy researcher at the Institute for Information Law (IViR) at the University of Amsterdam. He was a Fulbright Visiting Researcher at Stanford University’s Center for Internet and Society in 2006/7 and a Fellow at the Center between 2006 and 2012. Since 2012 he has been a Fulbright Fellow at the Berkman Center for Internet and Society at Harvard University. Since 2013 he is based in Amsterdam, working as a researcher and a Marie Curie Fellow at the Institute for Information Law (IViR) at the University of Amsterdam. Paula Bialska (Paula & Karol) – sociologist and ethnographer in the Digital Cultures Research Lab, Leuphana University. Conducts research projects related with new technologies affecting social interaction offline. Member of the group Paula & Karol, listed by the British „Guardian” in the their “sound of 2011 around the world” presenting the most interesting young bands of the year. Paula & Karol play and compose togethwer with Christoph Thun and Staszek Wróbel (drums), Krzysiek Pożarowski (bass guitar) and Szymon Najder (electric guitar). Edwin Bendyk – chemist, journalist, publicist interested in problems of civilisation and influence of the technology for the social life. Member of the Modern Poland Foundation’s Board. Magdalena Biernat – managing director at the Modern Poland Foundation. Sociologist, graduate of Warsaw Uniwersity and L’Université libre de Bruxelles. Conducted several social research in cooperation with NGOs and research organizations. Anna Biernacka – lawyer, graduate of Warsaw University, counsellor, copyright law specialist. Spokesperson of the Association of Authors ZAiKS. Ana Brzezińska – director of new theatrical forms, documentary movies, wideo forms. Theater and televison producer. Currently professionally connected with the TVN. She translated for Polish and foreign cultural institutions (Teatr Dramatyczny m.st. Warszawy, Narodowy Stary Teatr w Krakowie, Teatr Polski we Wrocławiu, École Supérieure d’Art Dramatique de Strasbourg). Jarosław Czuba – Vice-Director of the National Audiovisual Institute, mainly responsible for digitization, archiving and education. Lawyer, graduate of the Warsaw School of Economics and High School of Enerpreneurship and Management. He held a position of the General Director in the Ministry of Culture and National Heritage and the Director of the Law Department in the Ministry of Culture and National Heritage. He was responsible for the implementation of the audiovisual policy and was the Country Delegate for the Working Group on Audiovisuals of Council of the European Union. Michał Danielewicz – sociologist and ethnologist. In Centrum Cyfrowe he conducts research projects concerning open culture. In the Institute of Sociology of Warsaw he wrote his master’s thesis on the internet society of Wikipedians and about open models of cooperation. Since 2007 he is engaged with qualitative research of social and commercial character. He worked in the research company “4P research mix”. He collaborated i.e. with: The Association of the Creative Initiatives „ę, The Institute of Public Affairs, The Unit for Social Innovation and Research – Shipyard, Academy for the Development of Philanthropy. Katarzyna Dąbrowska – graduate of the Faculty of Law and Administration and the Institute of Applied Social Sciences of the University of Warsaw. Trainee advocate in the Pietrzak&Sidor sp.j chamber. Her interests focus on alternative ways of dispute solving and protection of author’s moral laws and personal rights protection, especially in the context of infringement which could take place in the internet. As a hobby she explores sociological questions about culture. Tomasz Ejtminowicz – lawyer specializing in media law including Internet law, new techology law, copyright and press law. Cooperates with Gazeta.pl an Gazeta Wyborcza, works in the Meritum law company. Barbara Fatyga – sociologist, cultural anthropologist, professor at the Institute of Applied Social Sciences of the University of Warsaw. Member of the Presidium of the Sociology Committee of the Polish Academy of Science. Her scientific interests include: theory of culture, contemporary culture and it’s research, methodology of qualitative research, anthropology of language. Konrad Gliściński – lawyer. PhD student in the Department of Civil Law at Jagiellonian University. In-house legal counsel in the group of the Jagiellonian Innovation Centre. Graduate of the Law Faculty at the Jagiellnian University and of the post-graduate studies at the Warsaw School of Economics. In 2010 rewarded by the Minister of Culture and National Heritage in the contest organized by the Patent Office of the Republic of Poland for the best master’s thesis. Author of the critical law opinion regarding ACTA treaty. Spoke at several conferences and coducted trainings on intelectual property laws. Anna Gruhn – regular collaborator and head of the marketing deparment of the Foundation Ludwig von Mises Institute, PhD candidate in the Department of Social Communication and Journalism at the Faculty of Social Sciences at the University of Wrocław. Interested in intellectual property issues and research and innovation in science. Andres Guadamuz is a Senior Lecturer in Intellectual Property Law at the University of Sussex. Until recently he was an independent consultant and Associate Director of the SCRIPT Centre for Intellectual Property Studies and Technologies at the University of Edinburgh, where he has also served as Lecturer in Electronic Commerce Law. He has a PhD from the University of Edinburgh, a law degree from the University of Costa Rica, an LLM in International Commercial Law at the University of Hull, and an M. Phil from Queen’s University of Belfast. He is an international consultant for the World Intellectual Property Organization, and is currently the representative to the same body for Creative Commons, an NGO dedicated to copyright licensing issues. His main research areas are open licensing subjects. Andres has published two books, the most recent is „Networks, Complexity and Internet Regulation” with the British publisher Edward Elgar. Bianca Hanuz – a first year PhD student in Intellectual Property law at Liverpool Law School, University of Liverpool and a Graduate Teaching Assistant in the department. Her research focuses on enforcement and enforcement alternatives of intellectual property rights in the digital environment. In 2011 Bianca has completed her BA at Lucian Blaga University in Sibiu, Romania and in 2012 she has completed a LLM in International Business Law at Liverpool University where she was awarded the Dean’s Prize for an excellent performance. Magdalena Jóźwiak – graduate of Law at Adam Mickiewicz University in Poznań and the LL.M. in Law in a European and Global Context na Global School of Law in Lisbon, Portugal. Currently she is working on her PhD thesis regarding the freedom of speech in the internet at the Vrije Universiteit in Amsterdam, Netherlands. She serves apprenticeship in the European Patent Office in Munich, and in Court of Justice of the European Union in Luxembourg. Sebastian Kawczyński – PhD in historical sciences, MBA, president of Plagiat.pl, the first Polish antiplagiarism system, founder and director of the Fresnel Foundation promoting for fairness in science. Teodora Konach – graduate of the European Center of the University of Warsaw and the Faculty of Management and Social Communication of the Jagiellonian University (specialization: Cultural Institutions Management). PhD Candidate at Faculty of Management and Social Communication of Institute of Culture at the Jagiellonian University, her PhD thesis theme is international protection of immaterial cultural heritage. Łukasz Kozak – the Warsaw University graduate, Middle Ages historian, cooperates with the National Library, engaged in the works of the Digital National Library Polona. He studies musical iconography and medieval organology. Creator of „Discarding Images”, a popular collection of medieval iconography in the Web. Michał Krawczyk –PhD in economic sciences (Universiteit van Amsterdam), Assistant Professor at the Faculty of Economic Sciences of the University of Warsaw. He specializes in experimental and behavioral economy. He leads a research project “Protection of intellectual property in the internet age”, financed by the National Science Center. Economic analysis”. Within the framework of that research, he conducts field experiments which measure impact of unauthorised access to culture goods for the income which came from selling of those goods. Arkadiusz Kustra – internet researcher. He created and manages Team of Analyses and Surveys of Gazeta.pl, when, i.e., he oversees polish edition of the Survey World Internet Project. Dorota Kutyła – graduate of the Polish philology and philosophy at University of Warsaw, PhD candidate at Philosophy Institute of University of Warsaw. Admirer of many traditions of the First Polish Republic. Her thesis covers the topic of implementation of the category of liberation and emancipation in Polish literature of 19th century. Professionally she is engaged with editing and education. Marysia Lewandowska – Polish born artist based in London who, through her collaborative projects has explored the public function of media archives, collections and exhibitions in an age characterized by relentless privatisation. Co-editor of the book Undoing Property? Professor of Art in the Public Realm at Konstfack in Stockholm 2003-2013, where she established Timeline: Artists’ Film and Video Archive. Krzysztof Lewandowski – lawyer, specialist in copyright law, law of culture and intellectual property, director general of the Association of Authors ZAiKS. Academic teacher, commentator, manager of culture. Adviser of creators and performing artists, cultural institutions and non-governmental organizations. Arbiter of the Commission of Copyright Law under auspices of Ministry of Culture and National Heritage. Jarosław Lipszyc – president of the Modern Poland Foundation, author of concept of the website “Włącz Polskę” of the Ministry of National Education, member of the committee of the Citizens of Culture, journalist, participant of debates about ACTA and the future of the copyright. Activist of the free culture movement. Łukasz Łyczkowski – graduate of the Faculty of Law and Administration and of European Centre at Warsaw University; since 2013 trainee advocate in Warsaw, currently works in the law department of Association of Authors ZAiKS. Cédric Manara – PhD, has lost his hair teaching, writing or consulting. He has been a full time law professor at EDHEC Business School (France) and held visitorships in Finland, Italy, Japan and the USA, published a lot on intellectual property and internet legal issues, and also was a consultant for e-commerce companies or law firms. He recently joined Google’s legal team as copyright counsel. Joanna Matczuk – attorney; interested in copyright law, new media law and in issues of personal data protection and privacy protection, particularly comparative perspective. She is also interested in international aspects of intellectual property – she explored this issue during her postgraduate studies at Queen Mary University of London. Arkadiusz Michalak – PhD of law at the Jagiellonian University, counsellor and patent attorney. Founder of H. Grocjusz’s Centre of Law of Intellectual Property. Author of publications from the area of intellectual property laws. Natalia Mileszyk – researcher at the Institute of Law and Society. Lawyer, graduate of the University of Warsaw and Central European University in Budapest (LLM). Her scientific interests include the question of human rights in the internet. Her thesis in the CEU is dedicated to the issue of human rights protection in the European Union, particularly the freedom of speech and right to privacy on the example of intermediaries responsibility for the content published in the internet. Eben Moglen – lawyer, historian of law, programmer. Works at Columbia University in New York. With Richard Stallman, co-creator of the GNU GPL license. Chairman of the Software Freedom Law Center. Founder of the Freedom Box Foundation. For many years the legal counsel to The Free Software Foundation. Modern Poland Foundation will publish the collection of his essays entitled “Freedom in the cloud”. Ville Oksanen works at Aalto University at SoberIT as a teaching researcher. His research interests include Law & Technology, IPRs, Public Choice Theory and standardization. Dr. Oksanen is also vice chairman of Electronic Frontier Finland, of which he founded with his peers in 2001. In addition, Dr. Oksanen is one of the partners at Turre Legal Inc., a law firm specialized in technology law and high profile public policy cases. Oksanen’s main hobby is cooking blog – and to eat good meals at restaurants. Wojciech Orliński – born in 1969. Journalist at „Gazeta Wyborcza”, blogger, author of books. Critical fan of technology. Natural-born pessimist, habitual doubter and malcontent. Artur Piechocki – leads a law firm which provides legal services in the area of new technologies of information and communication; collaborator of Polish and international organizations: Council of European National Top-Level Registries (CENTR), Internet Corporation for Assigned Names and Numbers (ICANN), World Intellectual Property Organization (WIPO). Long-standing member of working groups in Polish Chamber of Informatics and Telecommunication (PIIT). Nadia Plesner is a visual artist. She studied Fine Arts at the Gerrit Rietveld Academy in Amsterdam. Through various medias like painting, drawing and the internet, she works with the disappearing boundaries between the editorial and advertising departments in the media as a central theme. Her work has been exhibited in galleries and museums and she frequently works with the artist group Emergency Room. In 2008 Plesner founded the non profit organization The Simple Living Committee, through which she uses her art as a platform to raise awareness of humanitarian issues as well as raising money for aid, for example shipments of medical and school equipment to various destinations. Przemysław Ruchlicki – lawyer. Graduate of the Faculty of Law and Administration of the University of Warsaw and the University of Florida. Since 2005 works for and collaborates with leading Polish law firms. Author and co-author of many publications on the issue of taxation. Law and economy expert at the Polish Chamber of Commerce. On behalf of KIG member of the Group for the Improving the Economic Regulations in the Ministry of Economy. Krzysztof Siewicz – lawyer, graduate of the University of Warsaw and Central European University in Budapest (LLM). Works at Center of Open Science ICM at the Warsaw University and the Cardinal Stefan Wyszyński University. Of counsel at GWW LEGAL. His PhD thesis treated about protection of freedom of computer program’s users freedom (University of Leiden, Netherlands). Piotr Siuda is a PhD in sociology, author of a few books and coordinator of projects related with Internet sociology, media literacy and new consumer trends in the area of popculture. He writes a popblog on socio-media-popcultural matters. Anna Skurczynska heads up the UK legal team of Corbis Images. She specialises in copyright and is passionate about photography. In addition to her day-to-day work, she combines the two interests in her role as a board member of the British Association of Picture Libraries and Agencies, where she supports lobbying efforts in the area of copyright reform. In her spare time, she experiments with a pre-digital Soviet camera SMENA. Robert Stalmach – president of Newspoint.pl. Graduate of the Faculty of Management of Warsaw University. His PhD thesis concerned benefits of shareholders in the conception of managing through the value. Attendee of the programs: executive in INSEAD and IFRA/eNews 2010. Kamil Śliwowski – media literacy activist. At Centrum Cyfrowe he coordinates the Creative Commons Poland project and conducts activities respecting open education. Member of the Presidium of the Coalition for Open Education. Blogger: www.otwartezasoby.pl and lecturer at SWPS. Alek Tarkowski – sociologist, PhD, head of Centrum Cyfrowe: Projekt Polska, organization which creates tools and methodologies advocating openness, social engagement and cultural activity. Co-founder and coordinator of Creative Commons Poland, adviser for international Creative Commons on the issue of public policy regarding open resources. Activist for the copyright reform. His interests include sociology of digital technologies: social and cultural results of its functioning within the society, as well as open models of knowledge and culture production. Andrzej Wojtaś – graduate of the German philology at Warsaw University. Literature and film translator. He translated more than 600 films. Since 1986 member of te Association of Authors ZAiKS. Since 2009 Secretary of the Board of Association of Authors ZAiKS. Rafał Wójcik – librarian, Middle Ages historian, classical philologist. Works at the Laboratory of Old Prints at the University Library in Poznań. His interests include: the art of memory in the late Middle Ages, medieval apocrypha on the life of Jesus. Michał 'rysiek’ Woźniak – president of the Board of the Free and Open Source Software Foundation, the Warsaw Hackerspace founding member, hacktivist interested in the area of privacy and personal freedoms in the digital era. Free software, free culture and free thought advocate. Paweł Zalewski is a Member of the European Parliament. He is a Vice-Chairman of the International Trade Committee of EP, Subcommittee on Security and Defence, EP; member of the Delegation for the CARIFORUM-EU Parliamentary Committee, the European Parliament’s Delegation for Relations with Iran, the EP Delegation to the EURONEST Parliamentary Assembly; Co-Chairman of the Polish-Ukrainian Partnership Forum. Ben Zevenbergen joined the Oxford Internet Institute in 2012 to work on the EU Internet Science project and is starting his PhD(/DPhil) on an empirical complexity theory analysis of copyright in 2013. He has worked on legal, political and policy aspects of the information society for several years. Most recently he was a policy advisor to an MEP in the European Parliament, working on Europe’s Digital Agenda. Previously Ben worked as an ICT/IP lawyer and policy consultant in the Netherlands. Ben holds a degree in law, specialising in Information Law. Jérémie Zimmermann – hacker, in the primary sense of a technology enthusiast who likes to understand it, not be captured by it and make it work better, not a criminal. He is the co-founder of La Quadrature du Net, an advocacy group defending the rights and freedoms of citizens on the Internet. More specifically, it advocates for the adaptation of French and European legislations to respect the founding principles of the Internet, most notably the free circulation of knowledge. As such, La Quadrature du Net engages in public-policy debates concerning, for instance, freedom of expression, copyright, regulation of telecommunications and online privacy. Jérémie was awarded the 2012 Pioneer Award by the Electronic Frontier Foundation (EFF), for „ha[ving] been instrumental in the fight against the Anti-Counterfeiting Trade Agreement (ACTA), a far-reaching international treaty that would curtail many Internet freedoms in favor of extremist intellectual property protectionism. Bodó Balázs: The social support of Alternative Compensation Schemes. Paula Bialska: Music Fan Labour: How fans became concert promoters, bookers, and managers and how this is shifting the live music industry. Michał Danielewicz: Copyright in the collective imaginary. Presentation of the research on the awareness and attitudes towards copyright. Barbara Fatyga: Copyright discourse: a semantic field analysis. Eben Moglen: Living as though Culture Were Free: the Solidarity of Knowledge and the Struggle for Liberation. Piotr Siuda: Copyright in the eyes of Polish pop culture industries.?? Paweł Zalewski: Kierunki zmian prawa autorskiego w Unii Europejskiej. Jérémie Zimmermann: Winning the war on sharing, a strategical update. CopyCamp 2013 – audio recordings thanks to Wikiradio.